SPRINGFIELD, Ill. (Aug. 4) – After two rounds of public online voting, Boys & Girls Clubs of Central Illinois, based in Springfield, and Saint Mary School, located in Taylorville, Ill., were crowned the grand prize winners in this year’s Make My Non-Profit Run Better contest by RK Dixon. Representatives from RK Dixon, a leading provider of copiers, printers, networks, managed print services and pure drinking water systems, announced on WICS-TV this morning that Boys & Girls Clubs of Central Illinois – a non-profit that provides year-round programs to help young people reach their full potential – is the grand prize winner in the contest’s “large” non-profit category and will receive a $30,000 office technology makeover. Saint Mary School was awarded first place in the “small” category, taking home $15,000 to help them continue to educate and inspire their students. Runner-up in the “large” category was Prairieland Service Coordination, winning an equipment package valued at $10,000, while Midwest Mission Distribution Center came in second for the “small” category and took home the $5,000 equipment package. In total, these four non-profits in the Springfield and Champaign area were awarded a total of $60,000 in office technology prizes. 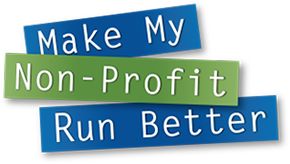 The Make My Non-Profit Run Better contest was established by RK Dixon 11 years ago to give non-profits a chance to win free office equipment and technology solutions to help them run better. Since the program’s inception, RK Dixon has awarded $513,000 to non-profits across Iowa and Illinois. The 2016 Make My Non-Profit Run Better contest began with 44 non-profits entering from the Springfield/Champaign area for their chance to win the $30,000 or $15,000 makeovers. Organizations then encouraged their supporters to vote online at www.MMNPRB.com. Votes were counted electronically, and the contest was narrowed to 10 finalists. RK Dixon partnered with WICS-TV for this year’s Make My Non-Profit Run Better contest. Second place: Prairieland Service Coordination, Inc.
Xerox is helping change the way the world works. By applying our expertise in imaging, business process, analytics, automation and user-centric insights, we engineer the flow of work to provide greater productivity, efficiency and personalization. Our employees create meaningful innovations and provide business process services, printing equipment, software and solutions that make a real difference for our clients and their customers in 180 countries. On Jan. 29, 2016, Xerox announced that it plans to separate into two independent, publicly-traded companies: a business process outsourcing company and a document technology company. Xerox expects to complete the separation by year-end 2016.